← Are Your Employees “Fire Ready”? Work, deadlines, relationships, money, health, kids, family, and the list goes on and on for the daily stress factors we encounter in our lives. Stress in our life is inevitable, but how we cope with it is what makes the difference in how it affects us. The more we try to control our life events, the more overwhelmed we become. 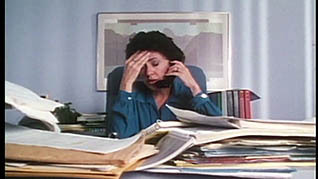 At BusinessTrainingPower.com, there are multiple training videos to help employees cope with and manage stress. Videos such as Coping With Stress, Managing Stress on the Job and Stressful Workplace Relationships, give helpful advice in how to release stress, dangerous habits stress can lead to, why some people are more vulnerable to stress than others, and how to deal with difficult and distracting relationships at work. 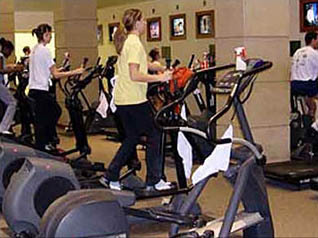 Activities such as working out and good nutrition are ways to reduce stress. If stress accumulates for too long dangerous habits like alcoholism, eating disorders, smoking and drug addiction can begin to form. Personality types effect how vulnerable you are to stress. For example Type A personalities are vulnerable because of their need to control situations, as well as their competitiveness. Type B personalities tend to be more relaxed and non-competitive. Employees feel more at ease knowing everyone encounters some form of stress in their lives. Use these video-based online training courses to help teach techniques to deal with stress and reduce its impact on your daily life. This entry was posted in Business Skills Training, Workplace Training and tagged dealing with stress, stress, stress management, workplace training. Bookmark the permalink. Hi, I’m glad you’ve found this information helpful! Keep checking back for more posts like this one!